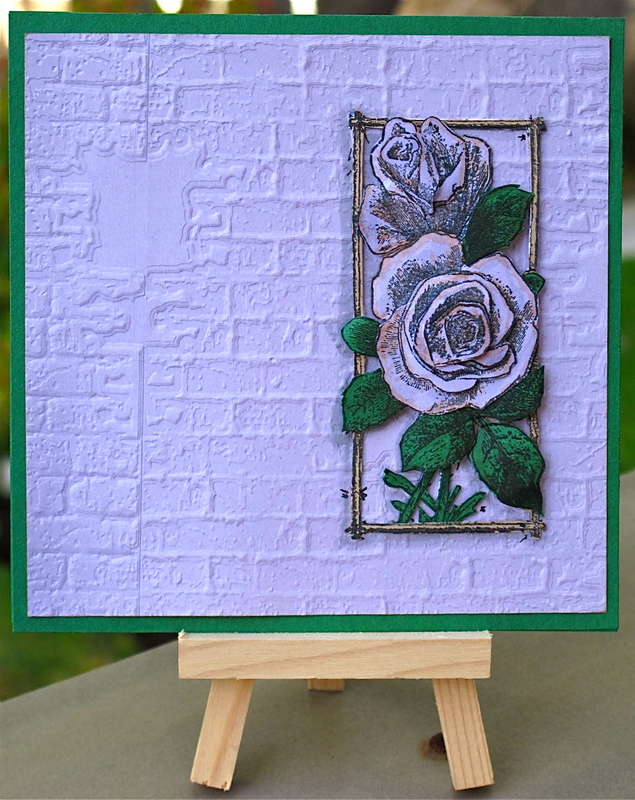 This card is made using the Frantic Stamper Cling-Mounted Rubber Stamp - Vertical Rose stamp. 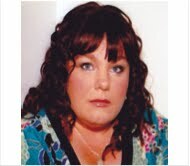 Its stamped it on lavender cardstock multiple times and cut it out to use paper tole style with double stick foam tape. The frame is cut from brown cardstock. The leaves from dark green. 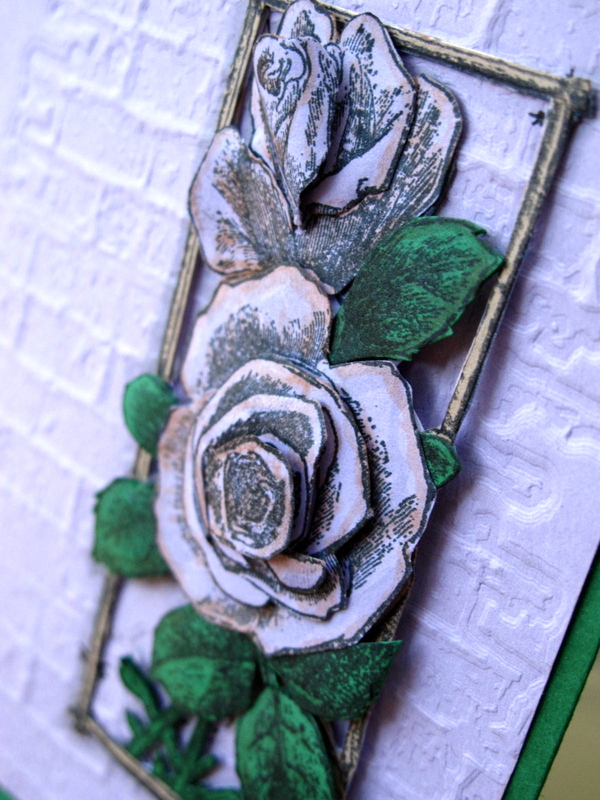 The textured background is made using the Sizzix Texture Fades by Tim Holtz - Bricked & Woodgrain. Okay, so it isn't Wednesday, but that shouldn't keep us from sharing something we thought was fabulous! We have a little video for you from Maya Road showing a fun new way to use their zipper trim (available at FranticStamper.com) to make beautiful and whimsical dragon flies. We hope you will enjoy the video. 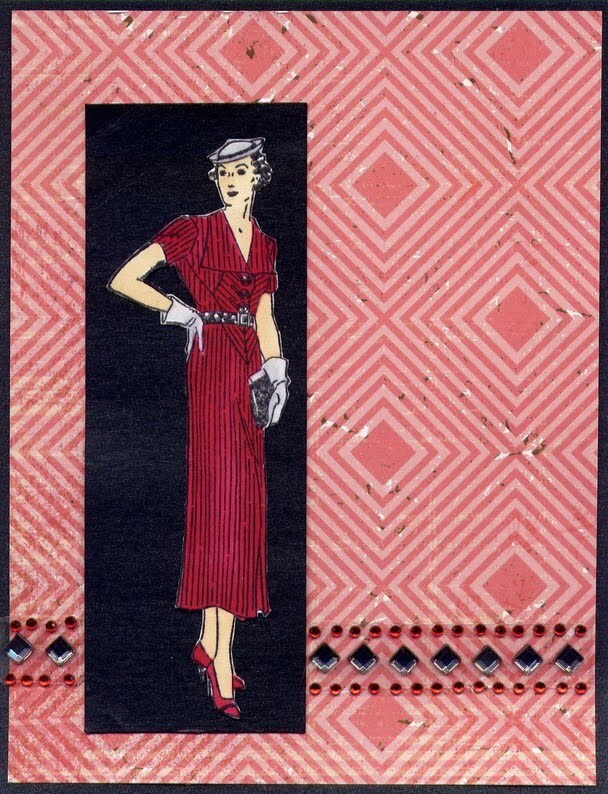 This card features the Frantic Stamper image titled Smart Lady. She was colored with Copic Markers and matted on a piece of black card stock. 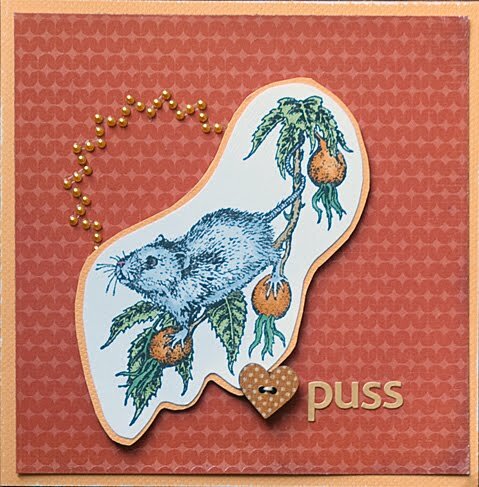 The card was completed with a piece of printed paper from the Basic Grey Konnichiwa collection titled Friendly Greeting and embellished with an assortment of rhinestones from Kaisercraft and Darice. It's all mounted on a black card stock card measuring 4.25" x 5.5". Enjoy sharing! Transfer Sheets along with Peel off Stickers, both available at FranticStamper.com. 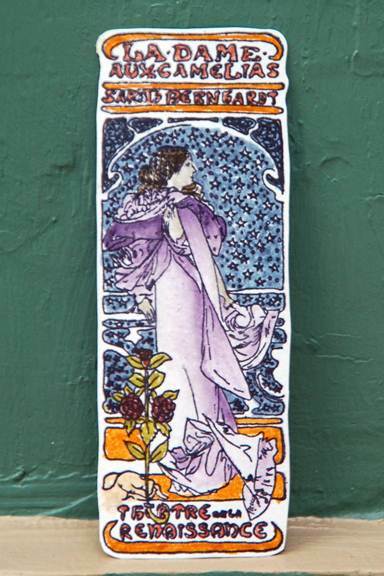 I stamped my Frantic Stamper Large Dame image onto plain card-stock using an archival ink. Once the ink was thoroughly dry, I then began to color it using Distress Ink Markers and a waterbrush. For the dress, I used the Distress Ink Marker and a waterbrush to soften the appearance of the dress and add shadow. I recently did an online card course with Tim Holtz, and up until then I had never really had any interest in trying out the Perfect Pearls Mists. 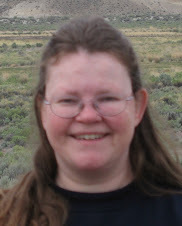 However, the classes made me very interested in trying them out and I was thrilled with just how easy they were to use. 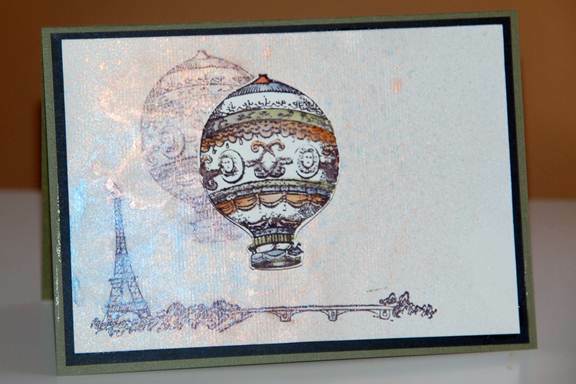 For my card, I stamped a Paris Border from the Frantic Stamper line of stamps and a Decorated Balloon. I also stamped a second Balloon image onto a separate piece of card and cut it out. 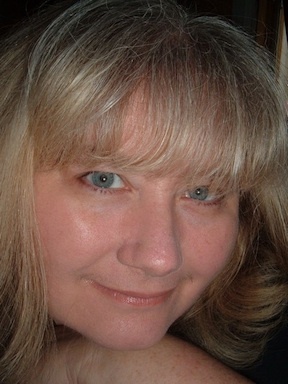 Next, I spritzed Perfect Pearls Mist Forever Blue and Mandarin over the one side and used a heat tool to dry. Finally I colored in the cut out balloon using a waterbrush and Distress markers (I used Rusty Hinge; Stormy Sky and Peeled Paint) before attatching it to my card using foam tabs. 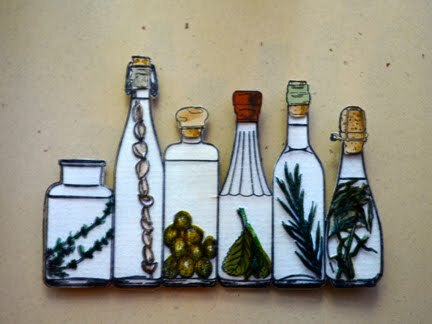 Frantic Stamper's cling mounted image, Bottles, was stamped and cut out: on acetate for a clear layer, linen twice on cardstock to make a base layer and a colored herb layer, and on various colored cardstock, to make the caps and plugs. The layers were then stacked, with the acetate layer on top. Puss is the Swedish word for kiss. Isn´t this mouse so cute you almost wanna kiss it? The motive is one of Fran´s own, and it is called Door Mouse. I colored it with Copic Sketch Markers. Doesn't this card make you feel ready for autumn? 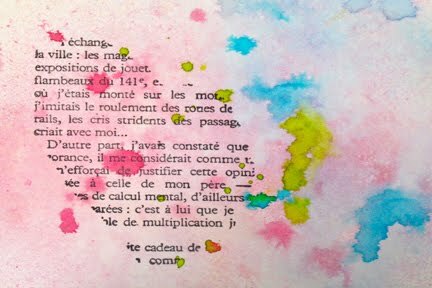 The background for this stamped piece (Frantic Stamper's Torn Print) was made with Dylusions Spray Inks in Bubblegum Pink, Fresh Lime, and Vibrant Turquoise, sprayed and splattered. The image was then stamped on top with black ink.